I don’t have the data to back it up, but I would venture to say that peanut butter and chocolate has to be one of the most popular flavor combinations out there. Surely it’s in the top ten. It’s certainly in my top few. The advantage of that kind of popularity is that the baking world has no shortage of recipes for us fans to try. I don’t imagine I’ll exhaust the possibilities any time soon. The cake’s flavor is not overwhelmingly peanut butter-y. It’s just enough, though, to satisfy peanut butter fans like me. I love that this cake doesn’t need a frosting. 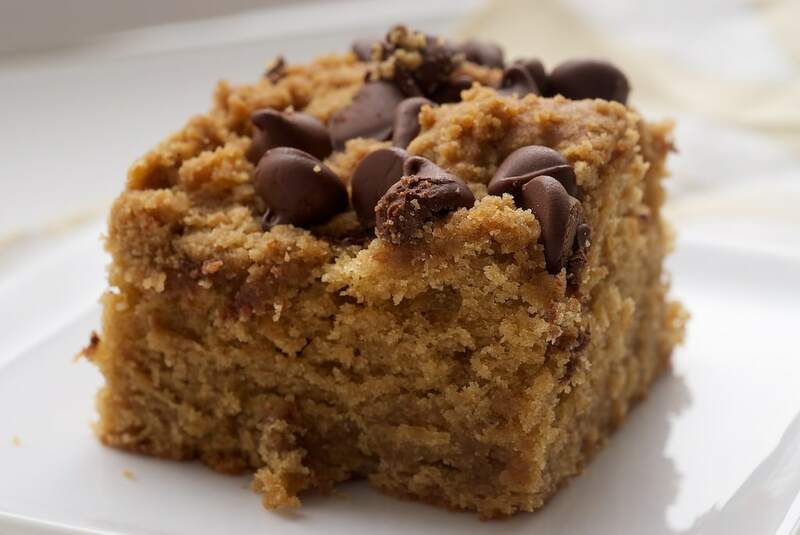 The crumb topping and chocolate chips are the perfect topping to dress up an otherwise traditional cake. This cake is denser than most, making me think of it as a snack cake more than a full-out dessert. Of course, I wouldn’t turn it away if it were presented on a pretty plate. Just know that it’s also the kind of cake that can be cut and eaten while holding it in your hand. Not that I did that. Well, maybe once. Preheat oven to 350°. Coat a 9″x 13″ baking pan with cooking spray. Set aside. 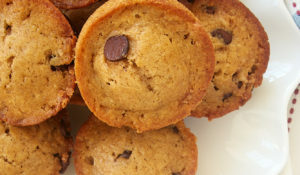 Using an electric mixer, combine flour, brown sugar, peanut butter, and butter. Remove 1 cup of mixture and set aside. Mix in baking powder and baking soda. Mix in milk and vanilla. Add eggs, 1 at a time, mixing well after each addition. Transfer batter to prepared pan. Sprinkle top with reserved flour mixture and chocolate chips. Bake 35-40 minutes, or until a toothpick inserted into the center comes out clean. oh my, that looks good…adding to my favs! Love peanut butter and chocolate together, a perfect combination. This cake looks delicious! A match made in heaven. Yum! Lovely! 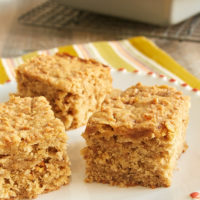 Will have to look for peanut butter in Spain and try this recipe! love when cake doesn’t need a frosting! pb+chocolate is a match made in heaven! Ummm…I just made this cake following recipe exactly and it did not turn out as pictured – my crumb topping melted down into the cake. What did I do wrong? My guess would be that your batter wasn’t thick enough to hold up to the crumb topping. That’s usually an overmixing issue. This looks delicious! Like a peanut butter cup became a cake! In my list of recipes to try for sure. I made this last night and it turned out spectacular! Mine looks just like your photos! 🙂 Delicious and super, super easy! I made this the other day and it was fantastic! thanks for sharing! I don’t usually comment on recipes, but I’ve had this one bookmarked for awhile now and finally tried it yesterday. This cake turned out AMAZING. My Husband and I both love it and I’ll be making it again and again. I did halve the amount of chocolate chips, but made no adjustments otherwise. Thank you so much for the recipe. It was unbelievably easy to make for such a great reward. This is such a delicious cake! The crunchy topping is so good! I had to bake mine for 45 minutes. I also added a dollop of whipped cream on each slice when serving…YUM!!! Thanks for sharing this wonderful recipe! I made this cake yesterday, and I’d have to say I was a little disappointed. It was a very dense cake, and the topping was tasty There just wasn’t enough peanut butter and/or chocolate chip flavor for my taste. I’m very glad I made it though; my hubby loved the batter, licking it straight from the bowl. Lindsey, you can half the recipe for an 8-inch square pan. The only issue is you’ll need 1 & 1/2 eggs. For the half, break the egg into a small measuring cup. Beat it lightly, then use half the volume. This is the best cake ever!! Thanks for sharing! This cake is good. However, my husband and I both agree if we make it again we will put the chocolate chips in the cake and then make chocolate frosting for the top. It is not very sweet and the flavors are not as strong as I think we had expected. Totally agree with you. My family thought it was just OK. My 13 year old said the cake is boring. My husband didn’t think it had much of a peanut butter taste. We all agreed that it needs frosting. It also works well with 1 1/4 c Trader Joe’s Sunbutter for those with a peanut allergy. August 30, 2012. I made this cake today. It is wonderful! Very moist & easy to made. Everyone really liked it so, it’s a keeper for sure. I’ll make this again. Thanks for the recipe! I love peanut butter + chocolate! I’d love to try this recipe, but I don’t have brown sugar. Do you think I could sub a yellow cake mix for the flour, sugar, baking powder, and baking soda? I would combine the cake mix with the melted butter and peanut butter, save 1 cup for the topping, and then continue the recipe from there. I know it wouldn’t be as good as homemade, but do you think it would work? Julie, that’s a pretty big substitution with a lot of changes implied. If you have granulated sugar, I would use that instead of brown sugar and not risk the cake mix. Julie, it easy to make brown sugar from white sugar, hon. Just use 1 cup granulated white sugar and 1 tablespoon of molasses, per cup needed of brown sugar. You only need to mix it with a fork until the all the white has turned brown. 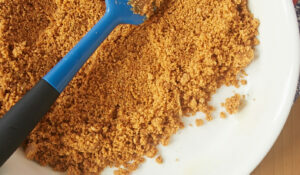 For dark brown sugar, use 1 1/2 Tablespoon molasses per cup white sugar. Works perfectly everytime! If you just substitute white sugar for brown, your product will not be as rich and full of deep flavor. It should still be tasty though! I made this cake today and OMG it is tasty! 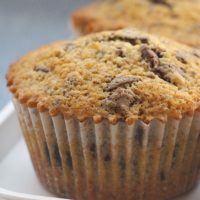 After reading some of the earlier comments, I substituted 1 cup whole wheat flour for 1 of the cups of white to give it a more “nutty” flavor…which it did PERFECTLY! I also increased the peanut butter to 1 1/4 cup for more peanut flavor and a little more moisture. Instead of 1 cup chocolate chips on top of the cake, I stirred them into the cake. Don’t wory I still added a up to the top of the cake as well, but used miniatures instead! The topping is awesome! Jennifer, this is now my picky family’s favorite cake. Thank you so much for introducing it to us! You rock! And so does this cake! This is the exact recipe for the first cake that my Grandmother taught me to make about 40 yrs. ago. I made it for my kids as an after school snack and now I am making it for my grandchildren. Everyone loves it. 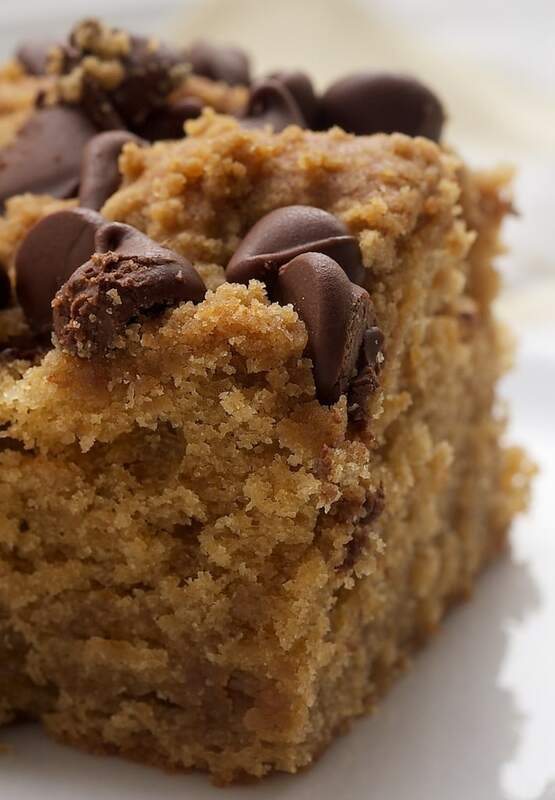 My Grandma used to make a peanut butter chocolate chip years ago and it was wonderful. I am hoping this recipe is close to what she used to make because nobody has her recipe. I am hopefully making this today. Thank you for the recipe! Made this cake and it was unbelievable!!!! It came out looking exactly as your pic! and although it was great the night i made it, it was even better the next day!! the cake stayed moist for a few days (much longer than i thought) and i ate it once a day!! LOL This cake is so moist and good I would definitely make it again!! 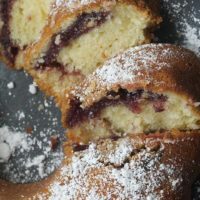 Has anyone tried replacing the flour with gluten-free flour to make this recipe gluten-free? If yes, did it turn out? 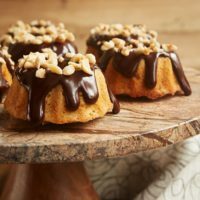 I’m gluten-free and I love peanut butter and chocolate and want to try to make this gluten-free! Yes, I’ve made it gluten free. I like it with half white and half brown rice flours. I made this last night for my birthday. Added a cup of peanut butter chips and a cup of chocolate chips to the batter. It was delicious! I will just add that I let my husband pull it from the oven after 55 minutes and he said the toothpick was clean, but it was way undercooked. He now knows not to depend on the toothpick. But this would have taken over an hour to fully cook for us. I had to toss half the cake. Our fault! I blame my cat for being too snuggly on my lap for me to get up. Just don’t be afraid if you think it’s taking too long to cook! Will make again! My grandmother used to make this cake for me when I was a little girl. I’ve lost track of the recipe so I was so excited to come across it on Pinterest. Looking at the pictures I can smell it baking. I can’t wait to make it this weekend for a church event. Thank you for giving me a little peeve of my childhood back! I am baking this as we speak! However, I am not sure how it will turn out because I mixed in all the flour at once. Please edit the ingredients and method to say 1 1/4 + 1 cups flour or 2 1/4 cups flour divided. My interpretation of the recipe all the flour goes in at once?!?!?!?!? Nadiya, all of the flour is mixed at once. It’s 1 cup of the flour mixture (flour + brown sugar + peanut butter + butter) that’s reserved for the top of the cake. I would like to make this cake, with the amount of pb could I cut down on the butter? The pb already has a lot of fat in it. I wouldn’t recommend it. I’m afraid it would change the texture too much. I made this cake for some co-workers a few days ago and it was gone within hours. Granted, I ate quite a lot of it before taking it to work 😉 Absolutely wonderful flavor and texture. I’ve always been a big fan of PB and chocolate and this cake is the perfect marriage of the two. this is the best cake I have had made in along time, as I matter of fact I said to my other half This is going to be my go to cake… He totally agrees. Has anyone tried it with Almond butter?? AB is a little bit different in consistency so wondering if it will still stick together. Hi, Emily. I’ve not tried it with almond butter. If you try it, let me know how it works. any changes you would make to use this for cupcakes? Obviously less baking time, but anything else? Hi, Mel. I don’t think you’d need to alter anything else. I made this and did not care for it at all. I didn’t like the consistency and the flavor. Sorry….and I’m a trained chef too. Ha ha, I believe it. :). Trained chefs look at food differently than everyone else. When I watch YouTube, I prefer the recipes from the “mature” women in miss-matched kitchens to the chefs with fancy french names for white sauce (roux?) and odd terms for letting your bread rise. (Proof?). 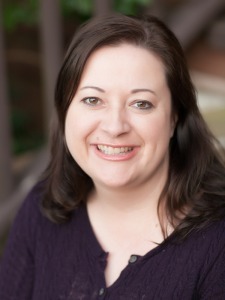 My sis-in-law went to a blue ribbon chef school and I prefer everyday, homestyle cooking. :). But she made better money at her job! That’s nice. I came across this cake looking for a cake my Grandmother used to make that seems similar. 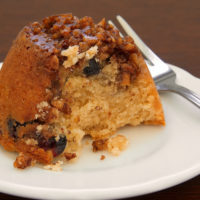 It sounds like the same basic cake – maybe, but there was no PB in the car part, while the cake was still hot you spread chocolate chips and PB on top and when it melted you lightly swirled it with little peaks. It cooled into a PB & chocolate crust. I would love to know if you have heard of this recipe. I’ll try this and see if it might be modified to the one I’m looking for. Sounds delicious – our family prefers less sweet in our desserts. That sounds like an interesting dessert! I’ve not made anything like that. I had a recipe very similar to this years ago when my son (now 45) was small. The recipe was on a bag of flour and I cut it out and saved it for years. After several moves, I have lost it – I’m sooooo glad to have found it here. I’d like to make it again and maybe take the recipe with me when I go visit my granddaughters and make it for them. 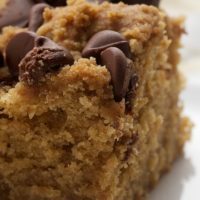 I don’t know where you got this recipe but I went on line and searched for “Chips of Chocolate Peanut Butter Cake” because that was what it was called on the recipe I had. As soon as I saw a picture of your cake I knew this was it! It looks exactly like I remember this cake looking. Can’t wait to make it. 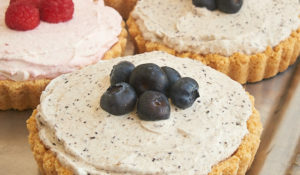 Thanks so much – This is the first time I’ve been on your site as I’m not much of a baker (I’m more of a cook) but I’ll be back because I see some pretty awesome recipes here. Thanks! That’s so great! I hope you enjoy the cake! I was so surprised this recipe was so easy to find! My mom clipped this recipe off a Pillsbury flour bag back in the 70’s and it has forever remained a family favorite! We are in temp housing, and my recipe card is somewhere in storage, so I took a chance to try and find it online, and voila! Thanks so much for posting!! You really need to adjust the cooking time in the recipe or specify if a convection oven is to be used at the 35-40 minute time. The toothpick test did not work, at 40 minutes it appeared clean and the cake looked fully risen. Once out of the oven the center collapsed leaving a two inch perimeter of cooked cake and a pool of mush in the middle most of the cake. Another comment had a similar experience. 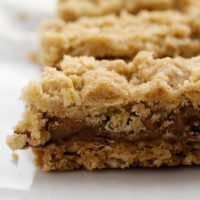 The crumb topping hardens such that a toothpick gets scrapped clean when it comes out the cake. I poked the cake in several places and the toothpick seemed oily which I chalked up to all the peanut butter and regular butter. There was no batter on it like I have seen in testing other cakes this way. Also I wonder if the leavening agents are correct as the cake has a bit of a salty/chemical after taste like too much soda or powder. I think the recipe needs to be modified. Separate the streusel topping from the cake batter in the process thus allowing for a creaming of the butters and sugars and a lightness from the addition of the eggs. Decrease the powder and maybe soda. Add milk and flour alternately to the light egg, butter, sugar mixture. Then mix sugar, flour, butter, and peanut butter for the topping. As written, more effort needs to be made to adjust the cooking time. Convection versus standard oven maybe? Hi, Ken. I’m sorry you had troubles! I always bake in a standard oven, and I’ve not had those experiences when I’ve made this recipe. Many things can factor into baking successes or failures, such as oven temperature, the pan type, freshness of ingredients, and many more.